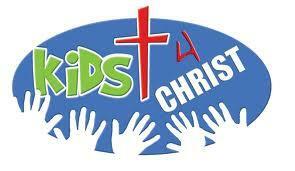 Oakwoods Baptist offers a Children’s Worship service each Sunday morning at the 11:00 hour. Our goal is to communicate a time of reverence, praise and worship in a loving and safe environment bringing glory to God and leading the children of OBC and our community to a relationship with Jesus Christ as their Lord and Savior and to enable them to defend their faith in Christ as they share the Gospel message with others. Currently, the Children's Worship attendees are doing a year long Bible study including the Books of the Bible, maps, and timelines. If you would like additional information on the Children's Worship program, feel free to email or call our church office. Our children need our heartfelt prayers every day. Below is a list of thirty-one important items that you can reference as part of those daily prayers. You can pray one item each day of the month or pray all 31 each day. The important thing is to pray for your children and grandchildren. If you would like a copy of this list, it is also available on our 'Documents' link. That my girl(s) would have a quiet and gentle spirit and my boy(s) would be the spiritual leader of his family. Identify with their femaleness/maleness as God created them.